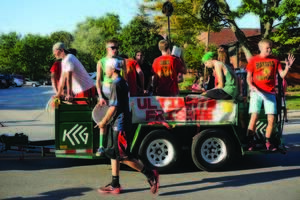 Homecoming Parade: On Wed., Sept. 14, (time to be determined), the parade will begin at River St., head west on Wilson, and end at Batavia High School. The entire community is invited! If there is inclement weather, the cancellation will be made one hour prior to parade start time, and will be posted on the BHS and district websites, Twitter and Facebook feeds. Unfortunately, due to police regulations and logistics, the parade will not be rescheduled. Double-Header Homecoming Games: On Fri., Sept. 16, the Batavia Bulldogs will take on the Elgin Maroons at Bulldog Stadium on the new turf field. The varsity soccer kick-off time is 5pm; varsity football kick-off time is 7:30pm. The 2016 Homecoming Court will be introduced between games. Homecoming Dance: All BHS students (and their guests with an approved guest form) are encouraged and invited to attend the 2016 Homecoming Dance on Sat., Sept. 17, 7:30–10:30pm at Batavia High School. 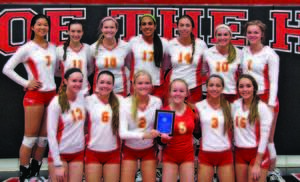 The 2015 Batavia High School Varsity Volleyball Team recently received the American Volleyball Coaches Association’s Team Academic Award. It is awarded to all high school and college teams with a 3.3 cumulative GPA or higher for the entire 2015-16 school year. BHS team members dominated on GPA. “We broke our own record with an 4.15 cumulative GPA for our varsity team this school year,” said BHS Volleyball Coach Lori Trippi-Payne. Members of the 2015 team include Maddy Astling, Sydney Cavanaugh, Alissa Danosky, Katelynn Fegan, Darby Findley, Alyssa Klemm, Lindsey Scanlan, Aasha Dave, Micaela Hix, Roxy Vermaas, Jenna Garrett, Sam Juarez, and Julia Kim. 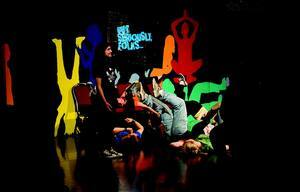 Supporting Theatre Arts for a Greater Education (STAGE) was formed in October of 2005. STAGE supports, encourages, maintains, and promotes Rotolo Middle School and Batavia High School theatrical productions. Batavia has a long and highly respected reputation of excellence in the performing arts, and they invite you to be a part of that tradition. Please consider joining STAGE. Your membership contribution will benefit the many students who participate in the performing arts. Rotolo Middle school CafeteriaTickets available at the door. Black Box Theater at the Batavia Fine Arts CentreTickets available online at bataviafineartscentre.org or by calling 630-937-8930. Batavia Fine Arts Center Main StageTickets available online at bataviafineartscentre.org or by calling 630-937-8930.